Little pre-walkers need lots of practice and encouragement. Walk around slowly holding junior’s hands and take crazy cute pictures. 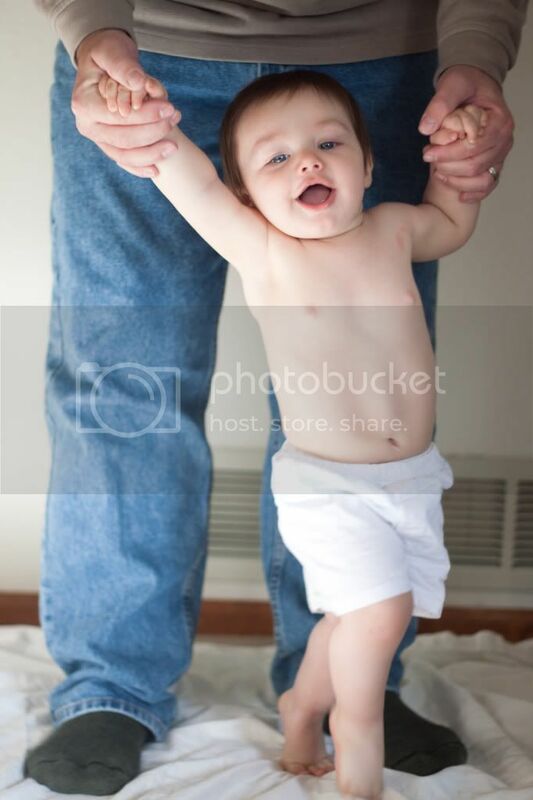 If possible, get someone to take a picture from behind with baby and your adult hands supporting him – also adorable! I made sure that our photographer got that picture during our last photo shoot. Mase is a bit over a year and we’re at this stage. He would much rather crawl, he’s a fast little bugger on his hands and knees! I think some Mommy-encouragement and practice is in order. Our photographer suggested the standing shot for our six-month-old. We love it!